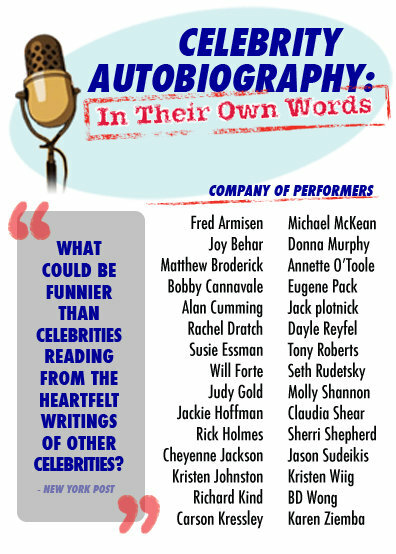 To sum it up in a few words, Celebrity Autobiography is a show where celebrities read excerpts from the memoirs of other celebrities. Judging from the photos and reviews on their website (I haven’t been to a show), it seems like it is a lot of fun. If you’re interested in going, you can visit SmartTix.com and enter code TRIAD1 or TRIAD2 to get 20% off tickets to the January 26, 2009 show (and maybe the other one too).